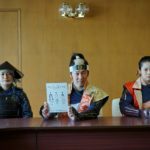 What is “Oshi-jo Omotenashi Kaccutai” ? My name is Ao a common soldier of Narita warriors. “Oshi-jo Omotenashi Kaccutai” and Oshi-jo castle. 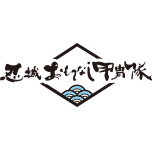 We, “Oshi-jo Omotenashi Kaccutai” (忍城おもてなし甲冑隊), are promoting the tourism in Gyoda city. 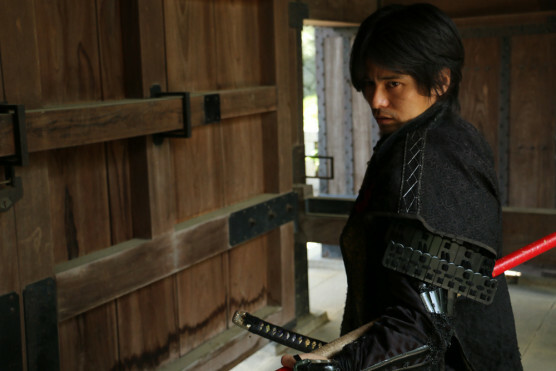 There is also a film called “Nobou no Shiro (The castle of Nobou)” which is based on us. 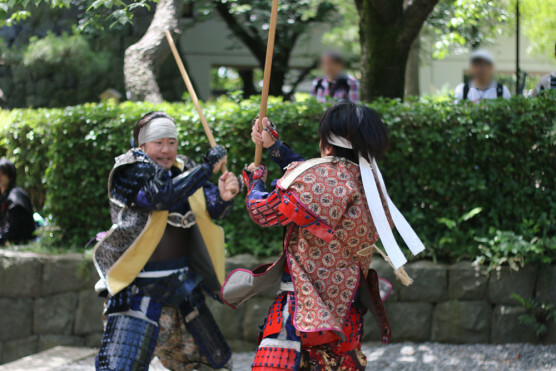 This is about the samurai who took part in Sengoku-period which was more than 400 years ago. 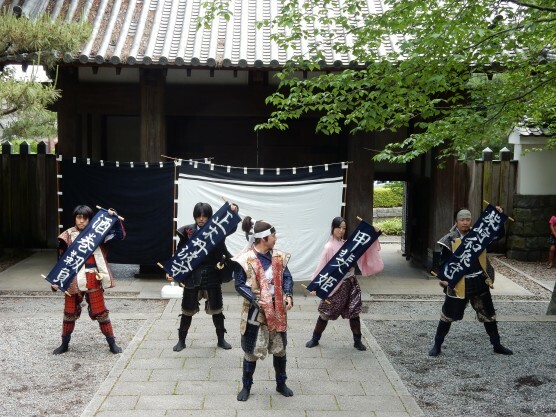 We usually perform Omotenashi Enbu(Swordfight performance) and tourist guide onweekends and holidays at Oshi-jo castle. Then it is a “Gyoda Folk Museum” in the castle, so you can see the historical exhibits. We usually perform twice a day, eleven o’clock and two o’clock. But in the case of bad weather our performance it will be canceled. We, Narita family have 7 members. She is princess Kai, the daughter of lord of Oshi-jo castle. 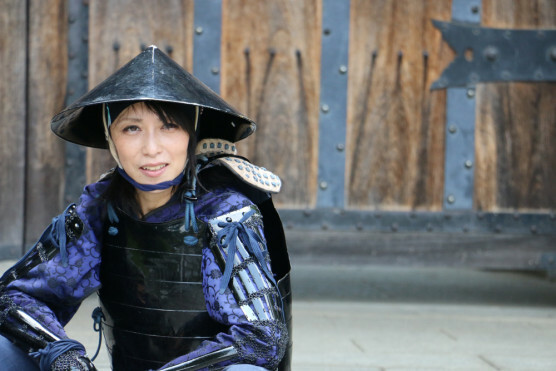 Known as the most beautiful woman in Togoku area(around kanto area) and also she is good at military art. He is Narita Nagachika, the leader of Narita warriors. During the attack of Oshi-jo castle, he served as commanding general. 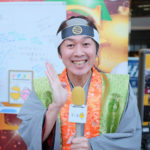 He is also the ambassador of Gyoda fritters(Gyoda furai). 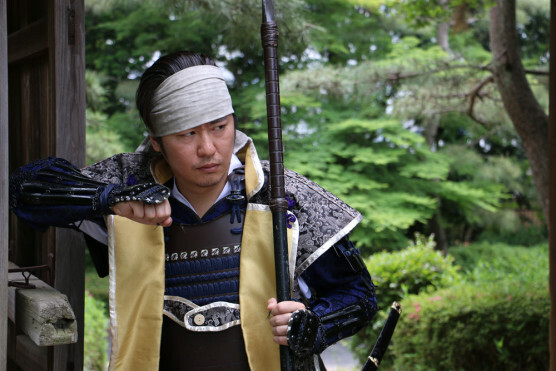 He is Masaki Tanbanokami, the head of Narita warriors. 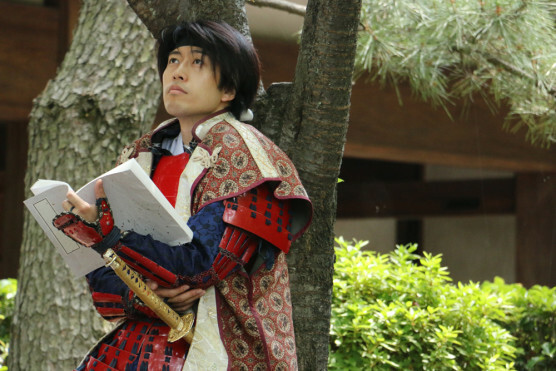 During the attack of Oshi-jo castle, he performed brilliantly at the Sama-guchi gate with vermilion-colored spear. 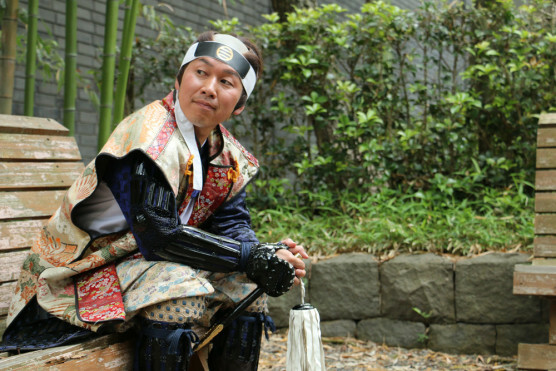 He is Shibasaki Izuminokami, one of the chief retainers served Narita family and a pre-eminent samurai soldier. 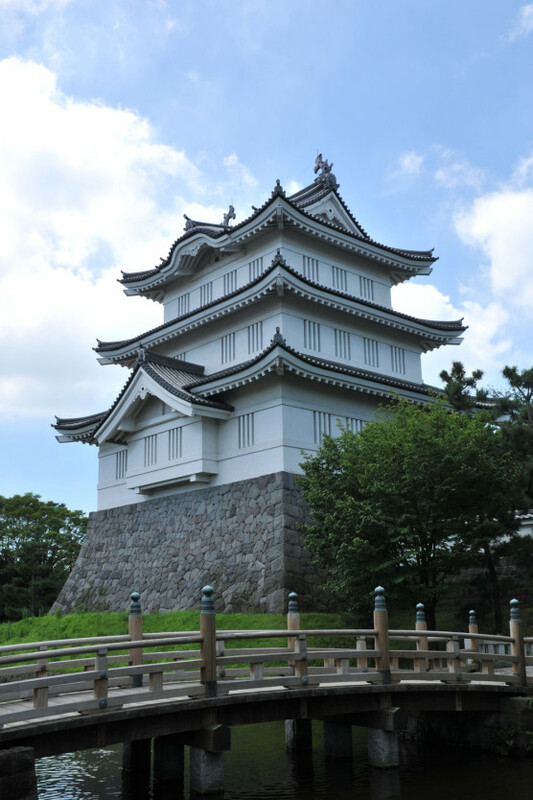 During the attack of Oshi-jo castle, he defended the Naganoguchi-gate. He proud of his strength. He is Sakamaki Yukie, one of the chief retainers served Narita family and a great tactician(self-proclaimed) Good at winning somebody’s favor. So he is strategist. Then he always wants to attract people’s attention. 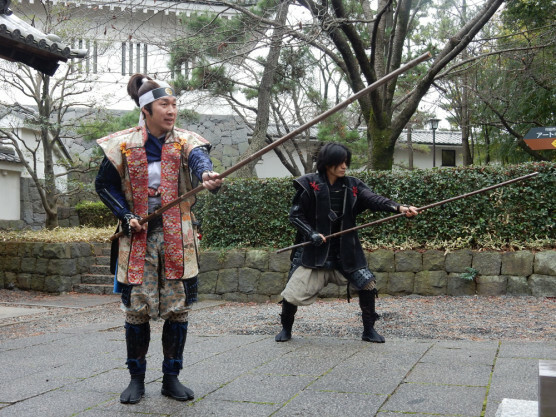 It’s me Ao a common soldier of Narita warriors. I am quite short just like a clasp of Tabi(Japanese socks), nevertheless I want to be a good support to of generals and princess. 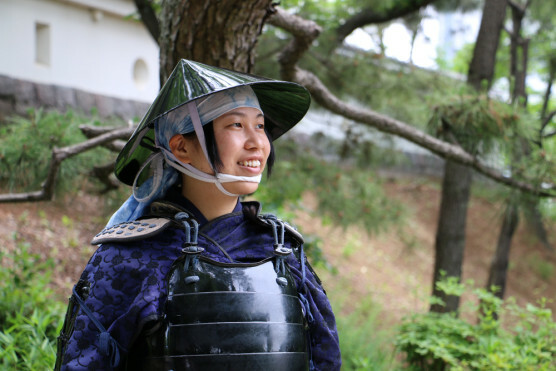 She is a common soldier of Narita warriors. She loves Oshi land, and eager to fight for Narita family and princess Kai-hime. 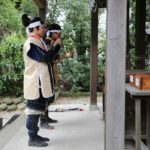 If you come Gyoda city you can experience Samurai world. Did you have an interest in Gyoda? If your answer is Yes, please come and visit us in Gyoda. We are waiting for you anytime !! Copyright© 忍城おもてなし甲冑隊 , 2019 All Rights Reserved.